MobiTV for iPhone for free from Leo Laporte. ESPN 2010 FIFA World Cup for iPhone for free from Leo Laporte. Final Draft Demo at http://www.finaldraft.com for free from Alex Lindsay. Celtx at http://celtx.com for free from Leo Laporte. 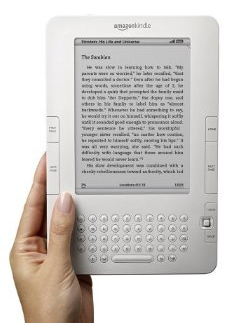 Kindle Wireless Reading Device, Free 3G, 6 for $189 from Andy Ihnatko. Topaz Photoshop Plugin Bundle at http://www.topazlabs.com for $179.99 from Ray Maxwell. Operation Mincemeat: How a Dead Man and a Bizarre Plan Fooled the Nazis and Assured an Allied Victory ($15.20) from Andy Ihnatko. The Windup Girl ($10.17) from Leo Laporte.